The death penalty has featured prominently in news editorials over the past several weeks. Depending on the context, assessments of the punishment vary tremendously, as seen in two recent New York Times opinion pieces. On October 5, 2011, the paper opined that an Alabama case “should leave no doubt why the death penalty should be abolished,” describing capital punishment as “barbaric.” Two days earlier, the same paper had described a death sentence in Pakistan as a “rare glimmer of hope” for the embattled country. Critiques of the death penalty often focus on the United States, one of few democratic countries to impose it. Yet the U.S. government has little to do with the issue, as it is largely a state rather than a federal matter. * Broadly speaking, the northeast and the upper Midwest have essentially eliminated the practice, while the Southeast and parts of the Southwest impose it regularly. The pattern is of long standing. 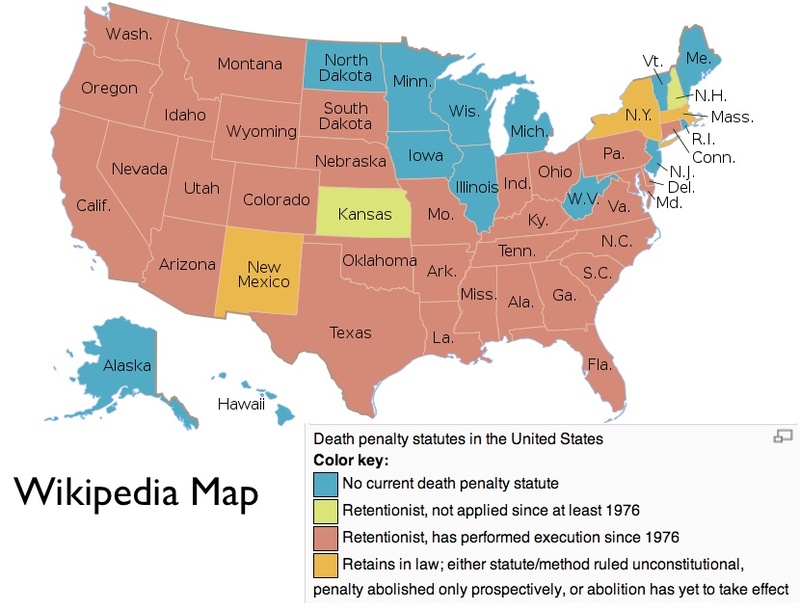 Wisconsin eliminated the death penalty in 1853, and before that it had only executed a single person, whereas Alabama executed a man convicted merely of robbery as recently as 1964. 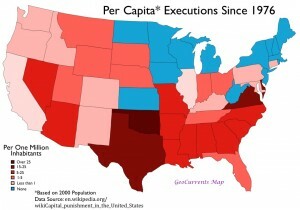 As is widely known, Texas is the largest executioner. Since 1976, it has put 475 persons to death, more than four times as many as the second-place state. In per capita** terms, however, the story is different. Here, Oklahoma leads the list, followed by Virginia and Delaware—although Texas is not far behind. As can be seen by comparing the execution map with that of the legal status of the death penalty, some states that retain capital punishment do not practice it (Kansas), whereas others that have executed convicts within the past several decades have more recently abolished the penalty (Illinois). Current death-row figures are similar yet by no means identical to the pattern of past executions. 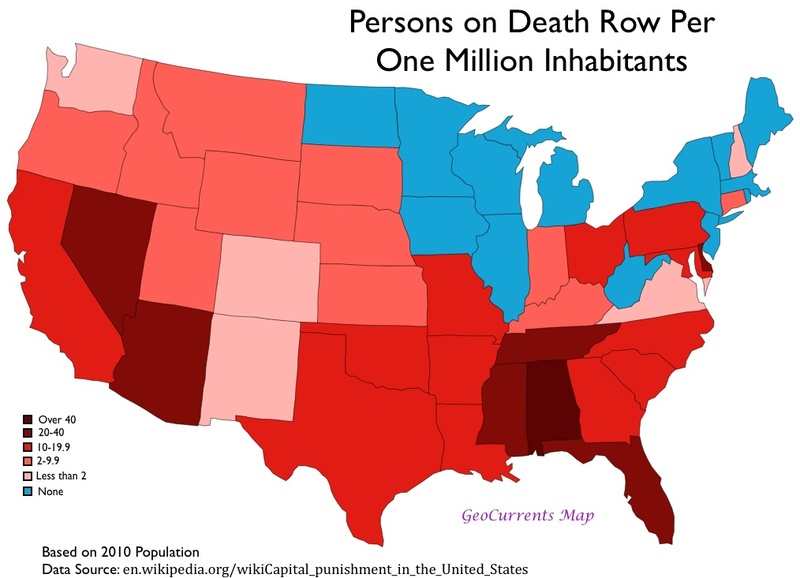 Here the core area of capital punishment is found in the central part of the Southeast, with Alabama forming a pronounced outlier. A secondary center emerges in the Southwest, including Arizona, California, and Nevada. Several northeastern states—Ohio, Pennsylvania— also maintain sizable death rows. Virginia, on the other hand, has conducted numerous executions, yet currently holds few prisoners so condemned. The regional patterns of the death penalty mesh only partially with those of violent crime. The murder rate is lowest in the death-penalty-imposing greater Northwest, rather than in the execution-shunning greater Northeast. 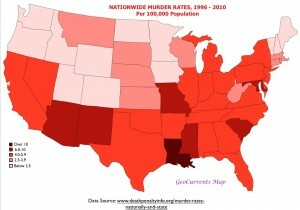 On the other side of the coin, a few states with fairly high murder rates avoid executions. Michigan, with a per capita murder rate of 5.7 per 100,000 people in 2010 and one of 7.8 as recently as 1997, has only killed one person in its entire history. New Mexico currently has one of the country’s highest homicide rates, yet it has recently moved to eliminate capital punishment. Partisan voting behavior, not surprisingly, correlates more closely with the geography of the death penalty. 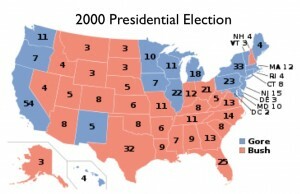 The 2000 presidential election map provides a particularly good match. In general, strongly Democratic-voting states tend not to impose capital punishment, whereas strongly Republican-voting ones tend to use it frequently. Oklahoma and Alabama, the execution and death row leaders, are two of the most strongly Republican-leaning states. Yet there are some interesting exceptions even to this pattern. Republican Kansas, for example, has not used capital punishment in decades. Democratic California, on the other hand, has the largest number of condemned criminals in the country, with 721 persons facing execution. *The federal government does impose the penalty as well, having executed three persons since 1976. **Per capita execution rates are difficult to calculate over a several decade period, as the populations of the various states have grown at different rates during the time span, As a result, approximate per capita rates have been calculated here by using population data from 2000.